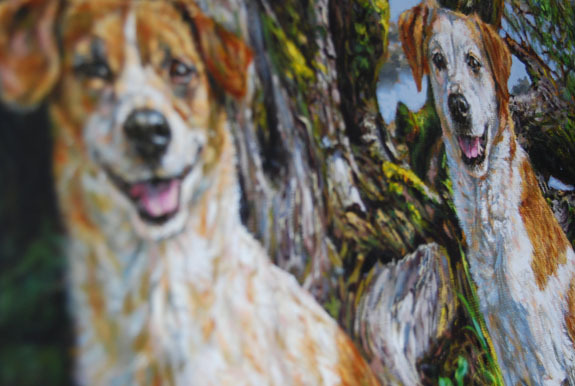 The latest painting that came from the easel was a portrait of two dogs, ordered by someone who cares for them deeply. I had the pleasure to meet the dogs just before the oldest dog, Tara, died. You can see the full painting here, in the pets gallery.